Sabre Yachts leverages the success of a previous model to create a new flagship. There’s nothing that says good business like providing a product for which there is already pent-up demand. That’s how the new Sabre 456 came about. 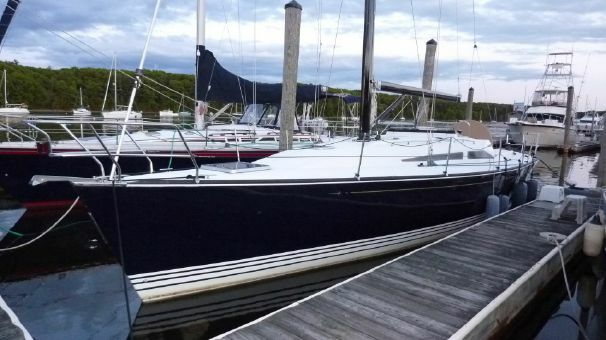 Listening to their base of loyal existing owners, the Maine boatbuilders decided to take a second look at their original Jim Taylor-designed 452, a model that was launched in 1998, and refresh it to meet the numerous requests for a bigger Sabre. 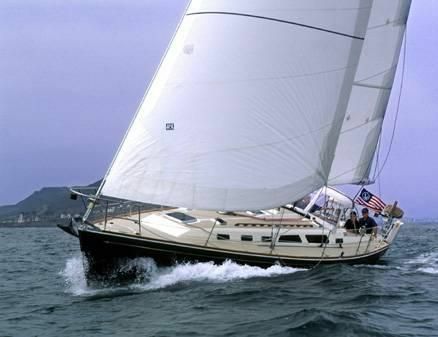 With some tweaking and a successful facelift, the original design morphed into the 456, a big sister to Sabre’s 426 and 386 sailboat models. With some tweaking, the original Sabre 452 morphed into a modern 456. Taylor’s original 452 held her own in performance even against J/Boats. 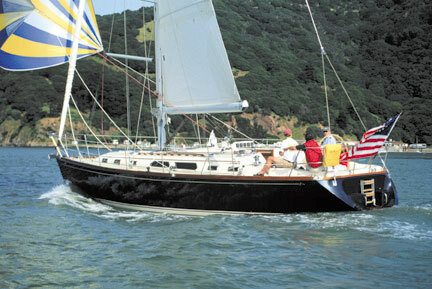 Given a new life with a modified keel, the 456 is expected to do well among performance cruisers in handicap racing. Down below, the accommodations forward have been reconfigured, with a bigger berth and expanded head compartment to add comfort to this proven passagemaker. 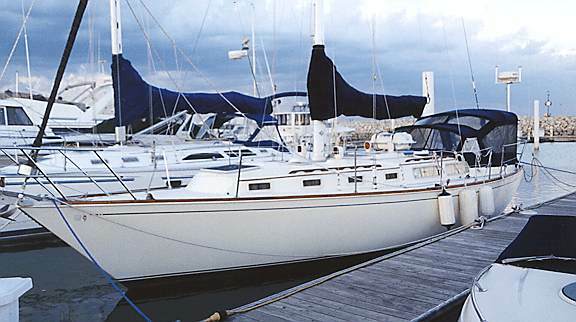 The Sabre 456 is an aft-cockpit bluewater cruiser with a keel-stepped mast with triple aft-swept spreaders. The keel changed from a full wing to more of a flat-bottom torpedo bulb. The hull is resin-infused and cored with Airex closed cell PVC foam. The deck is a single vacuum-bagged unit with an internal deck-to-hull joint. Inboard sheet tracks are recessed into the deck tooling to minimize clutter and toe-stubbers. The decks are wide and easy to move along from the bow all the way to the transom. The master stateroom now has a centerline island berth and full head. Good chocks and ample-sized midships cleats will make tying up a snap, and raising the main is child’s play with an electric Harken halyard winch. There are 11 hatches to let in light and air below. The Selden boom is long and fairly low, which is great for reefing and sailhandling but might make extra ducking necessary for taller sailors. 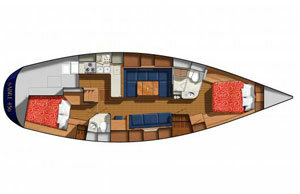 Much of the redesign of the 456 included changes in the living spaces below, specifically the master stateroom forward. 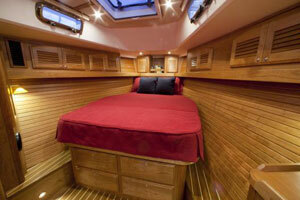 Instead of a V-berth, the 456 now has a centerline, 6’8” island bed with easy access for two people. The head was enlarged, and a stall shower with ceramic tile flooring was added. It’s now a real stateroom, separated from the saloon by a stylish sliding shoji screen door. A U-shaped settee dominates the port side of the saloon with a straight settee and an outboard- facing nav station to starboard. The galley is to port, and a second head and standard-sized aft cabin round out the starboard side. There’s 6’6” headroom in the saloon and 6’4” in the forward cabin. The satin-finished cherry wood and excellent joinery throughout create a very inviting interior. The galley has plenty of countertop space, a double sink, a microwave oven, and AC/DC Isotherm drawer-style refrigeration. A top-loading freezer can be added in the utility space aft of the galley to port, where a door opens to a very handy walk-in storage area that’s ideal for extra equipment like a genset or a watermaker. It can also house parts, dry stores, a washer/dryer, or a small workshop. 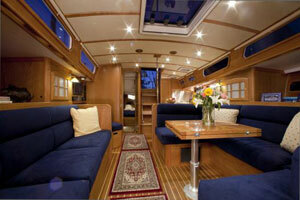 Plenty of storage behind the settee backs and in outboard lockers also helps when packing for an ocean crossing. This is exactly the kind of space that makes living aboard reasonable for a couple. The interior is invitingly finished in satin-finished cherry. Options on the Sabre 456 abound, both inside and out. 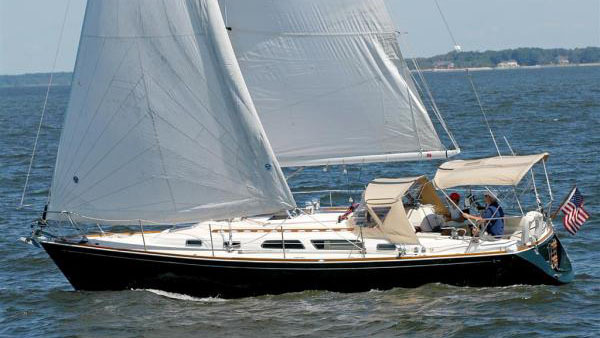 Sabre chose to make the 456 Intracoastal Waterway-friendly with a standard keel of 5’6”. 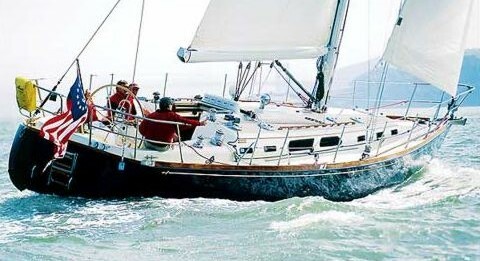 But for good pointing ability, owners who will not be spending time in skinny water can opt for a deep keel (7’6”) and an accompanying tall rig. Bentley Collins, Sabre’s vice president of sales and marketing, thinks about 25% of the models will feature a deep keel. Preparation for an inner forestay and running backstays is also offered, as is a saltwater wash-down on the bow and a hot/cold fresh water shower on the transom. A MaxProp feathering propeller is available, and you can add a Sidepower bow thruster. And although most Sabre boats can be identified by their trademark blue hulls, that color is actually an option over the standard Sabre white. Hull number two has the optional deep keel and tall rig. Down below, you can upgrade to Corian countertops and Ultraleather or Ultrasuede fabric in the saloon, and add a Clarion stereo, as well. I had the chance test hull number two, which had the optional deep keel and tall rig that are well-suited to deep-water West Coast sailing. The first thing I noticed walking down to the dock was how good the Sabre 456 looks in a slip. That’s not to take away from all its technology and capability, but the boat just looks good sitting still, with the classic lines that Sabre owners asked for. It’s a good representation of American boatbuilding and craftsmanship. A second pleasant surprise was how well the boat handled. When docking in a significant cross breeze, the boat behaved well even in reverse. The responsiveness and solid feel of the helm will certainly build confidence in owners when maneuvering in tight quarters or managing the boat offshore in a blow. Sabre has a way of building a community with their customers. Their owners are a very loyal and proud bunch who provide good feedback for future improvements. Based on information on how owners use their boats, no-maintenance AGM batteries and a 3000-watt inverter are standard, as is an oversized 120-amp Balmar alternator to charge the ship’s bank. Sabre also uses Marelon sea valves that are less likely than bronze seacocks to be an issue in case of a lightning strike. The 456, like the 452, comes standard with rod rigging. It’s also the small details, like the special convenience took kit supplied with every new boat sold, that show Sabre’s thoughtful follow-through. I found a couple of puzzling details aboard that were incongruent with an offshore design. First, the navigation station is quite small. The reasoning is that most navigation these days is done electronically, so not much desk space is needed. Also there was no seat offered here originally, although the swing-out stool that was on our test boat will probably become standard. After a thorough but unsuccessful hunt for the batteries, including a look into the manual that yielded no clue as to their location, we decided they must be under the settees, under plywood covers which were screwed down. The Sabre 456 has two deep-cycle house batteries (total 440 amp hours) and one starting battery. I’d like to see more convenient access, although the argument goes that you’ll never need to look at AGMs until it’s time to replace them. Engine access is good, but as is true in many traditional sailboat designs, it requires the removal of the companionway steps. These are not hinged, so they can simply be lifted up and out of the way. However, they then have to be placed somewhere in the saloon. In a sloppy seaway, which is so often when engine trouble seems to strike, those unsecured steps could become a hazard. Finally, the tankage is 200 gallons of water and 100 gallons of fuel. For an offshore design, that fuel capacity doesn’t provide great range mid-ocean. Since there’s room for a watermaker (which also requires considerable power to operate), more generous fuel tankage might suit long-distance cruisers better. When I arrived in San Diego for the test just before noon, the concern was a lack of wind. Just moments later that turned out not to be an issue as we pulled out onto the bay with an occasional gust over 20 knots. Since the water was flat, we decided not to reef and just see what the boat would do with all 1000 square feet of canvas up. Dodging practicing racers, we found that the Sabre 456 would sail about 35 degrees off the wind, although I was pinching wildly. In 13-14 knots, we logged 8.5 knots on the beam and 8.2 knots at 120 degrees off the wind. Pushing the bow up into 18 knots, we settled in at 7.2 knots at around 40 degrees apparent wind angle. At no time did the boat feel tender or overpowered. The helm response was fast and precise, and the oversized Edson Destroyer wheel registered very little weather helm, even in the big gusts. 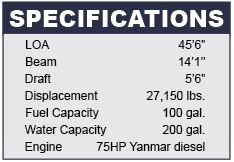 Under power, the Yanmar 75 HP diesel will push her at 8 knots in reasonable seas. The engine was very quiet both in the cockpit and in the saloon. The base price of the Sabre 456 is $575,000. With a navigation package, tall rig, deep keel, a few interior upgrades, delivery and commissioning, our test boat came in at $738,500. 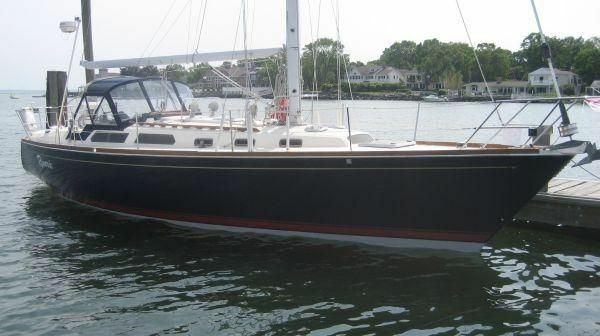 If you’re looking for comparable boats of a similar size, you might consider a Hylas 46, which has a center cockpit, or an Outbound 46 with an aft cockpit. 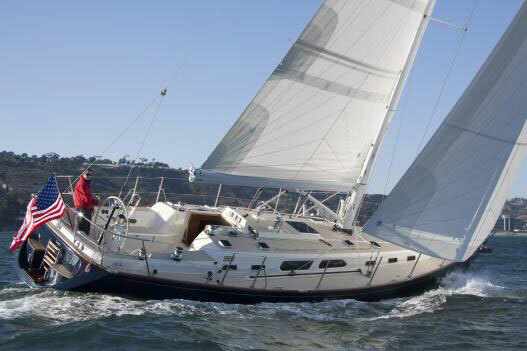 For more information on the Sabre 456, visit Sabre Yachts. Zuzana Prochazka is the President of Boating Writers International (BWI) and the Technical Editor for Latitudes and Attitudes magazine. 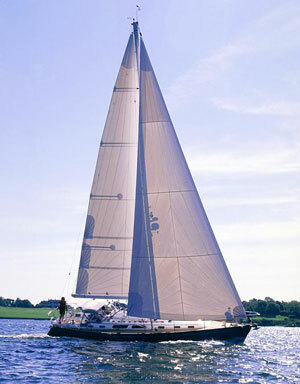 She contributes regularly to Boats.com, Yachtworld, Lakeland Boating, and Sea Magazine. She hosts Latitudes & Attitudes Television and launched her boat and gear review website, Talk of the Dock, in 2010. She is the Chair of the BWI New Products Committee and has repeatedly judged NMMA Innovation Awards and NMEA New Product Awards. She is a USCG 100 Ton Master and serves as a judging chair for the BWI Annual Writing Contest.